Mr. Ahn is in his 13th year in the teaching profession and currently the Athletic Director for the school. He attended John Carroll University where he received Bachelor of Arts degree in Education. His teaching background ranges from teaching honors science, to becoming the team lead for his Professional Learning Community, to serving as science department chair. Mr Ahn has coached basketball for eight years as well as track for four years. He has also been the NJHS, Student Council Advisor and helped create a social awareness club for students. Mr Ahn’s goal for students is that they may understand that science is used on a daily basis. Students may not know they use the vocabulary or the experiments associated with science, but they still use a form of it in their daily interactions. He believes in inquiry, where students are asked to think critically and provide answers by providing proof through evidence, and data that students create independently. 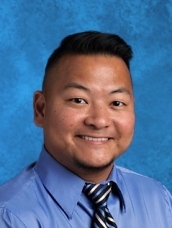 Mr. Ahn also relies on technology to use as a tool to guide students not only through engagement, but so that students may obtain the knowledge needed to be successful learners as well. You can reach me at jahn@ridgelineacademy.org.